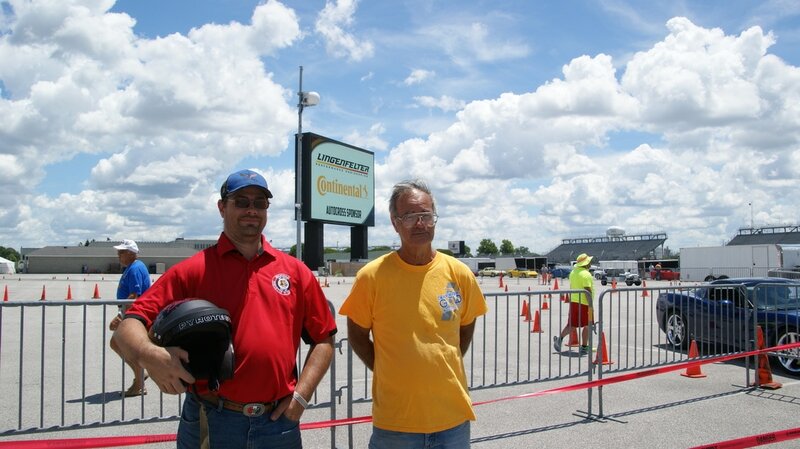 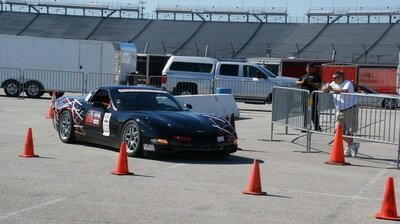 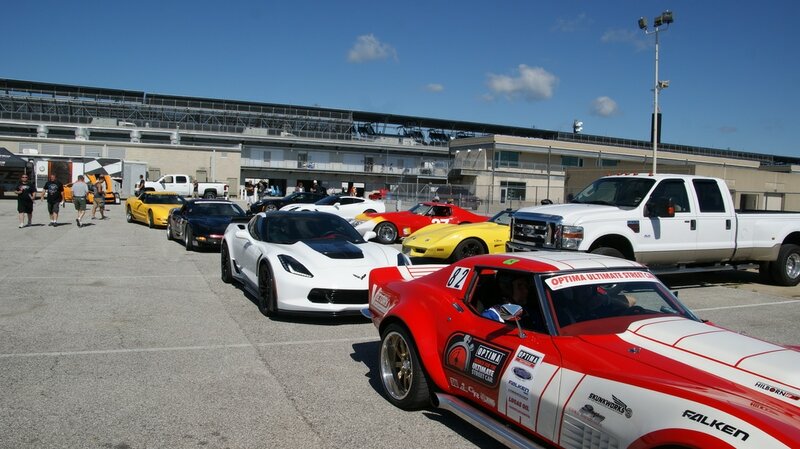 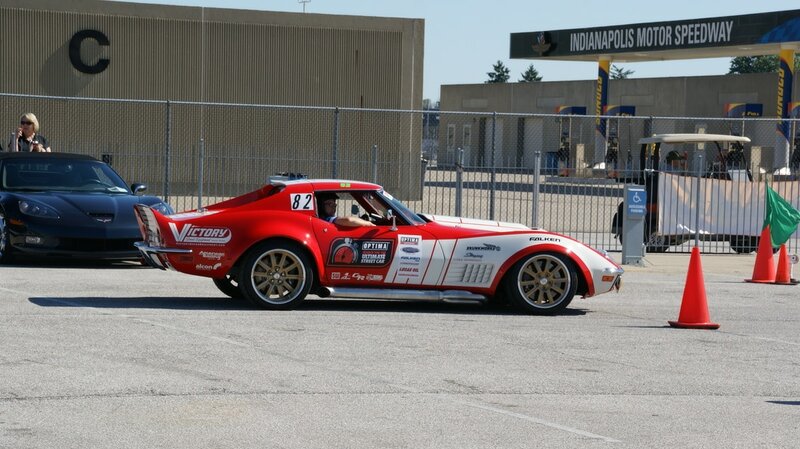 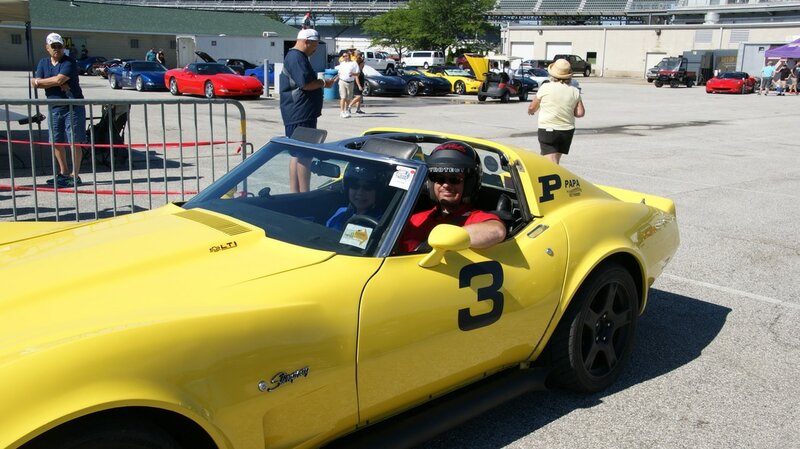 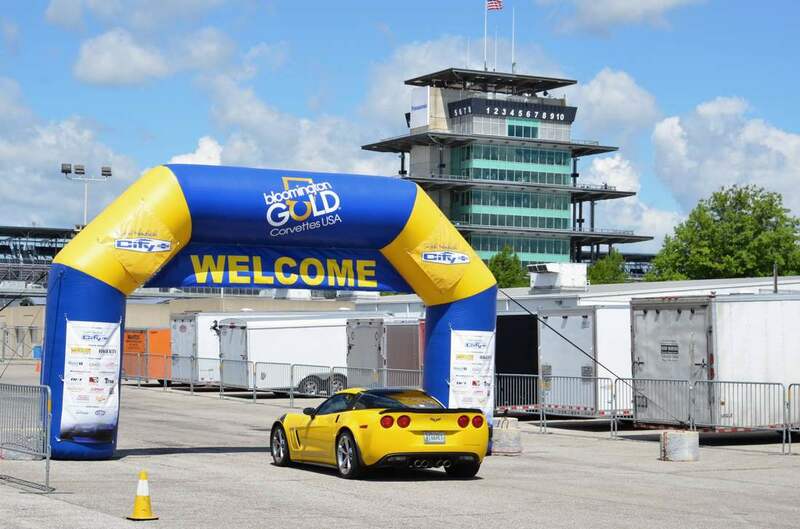 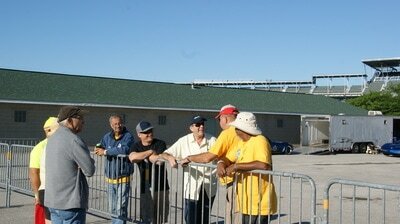 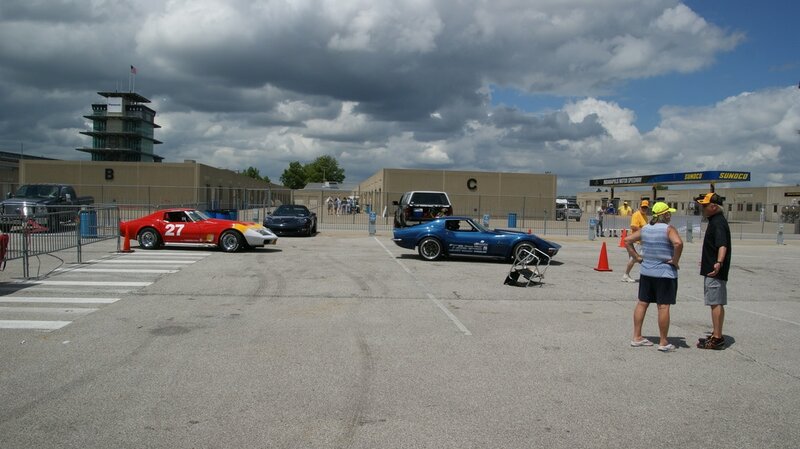 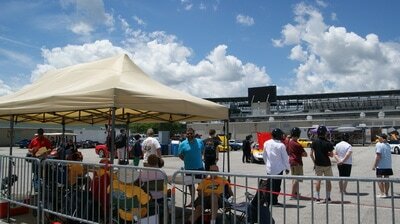 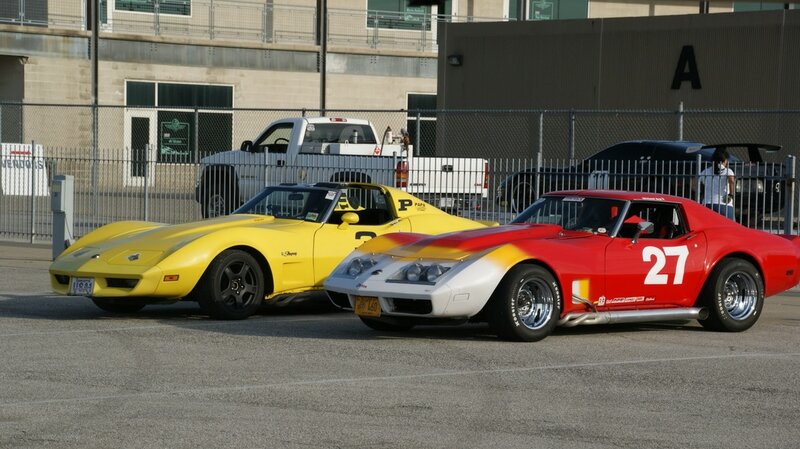 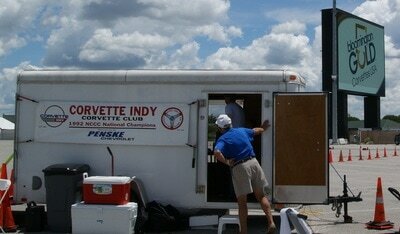 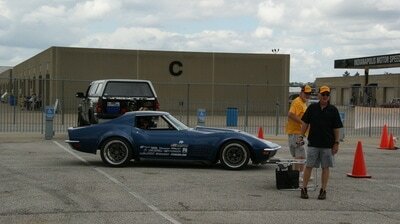 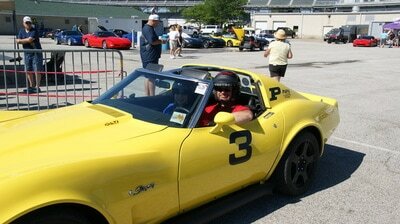 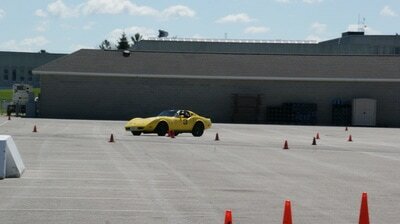 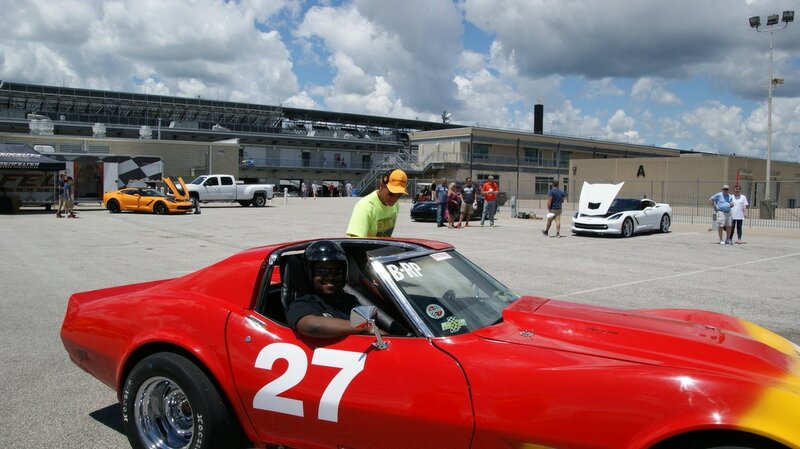 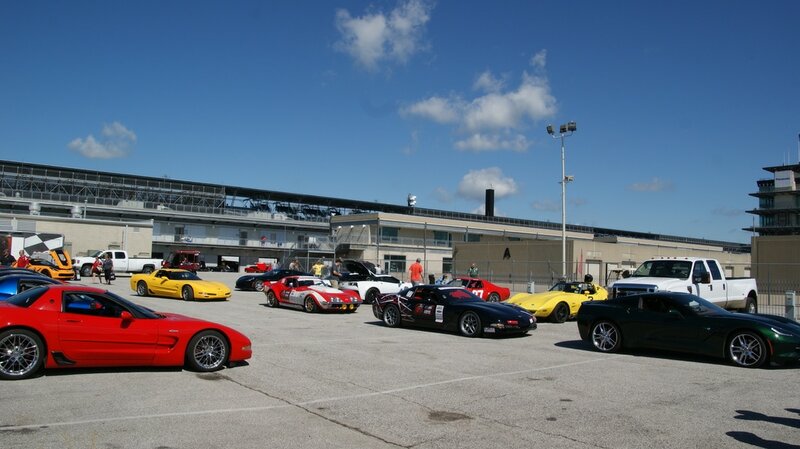 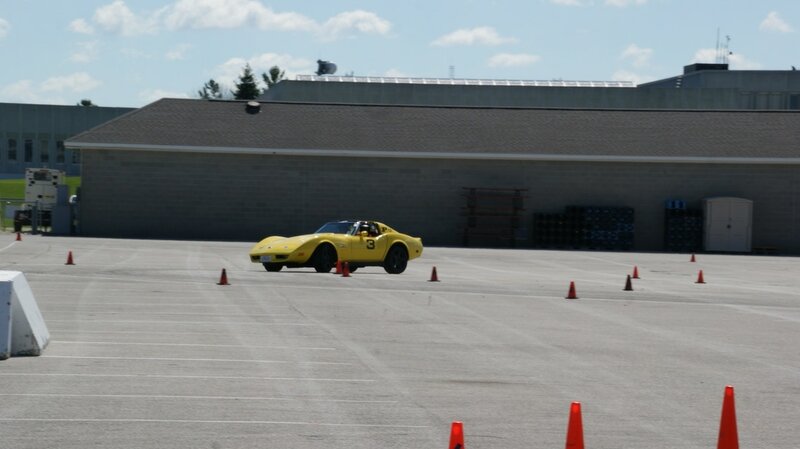 For the third year of Bloomington Gold being held at Indianapolis Motor Speedway the Indiana Region again operated the Gold Autocross using workers from across the Indian Region and timing equipment provided by Corvette Indy. 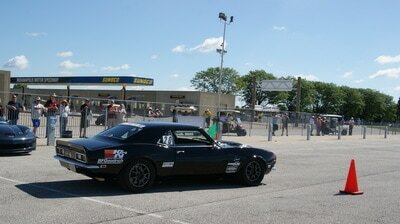 This year's events were on Thursday June 22 thru Saturday June 24 with plans to run all three days. 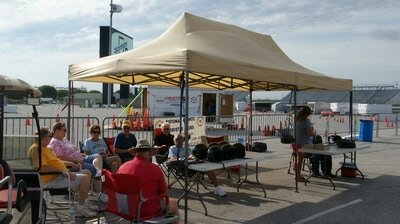 Unfortunately the weather gods intervened on Friday with a complete wash out so only two days of running were done with over 650 runs made. 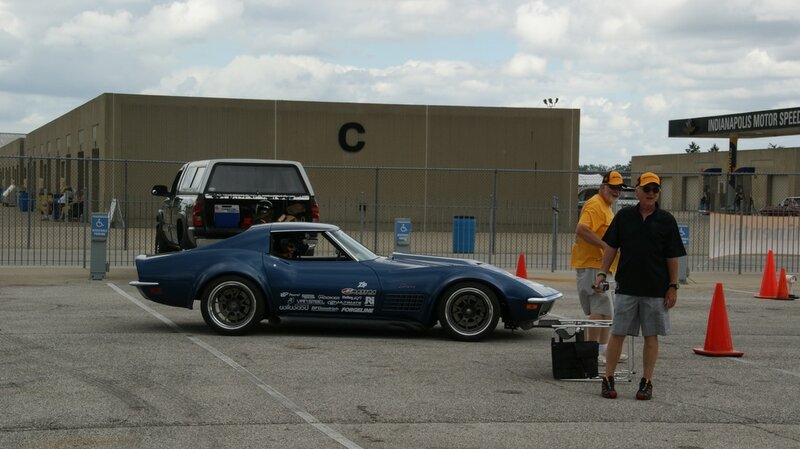 Again Lingenfelter was the major sponsor along with new sponsor Continental Tires, which was a good thing for the number of smokey runs made by the Corvettes that Lingenfelter brought to give rides. 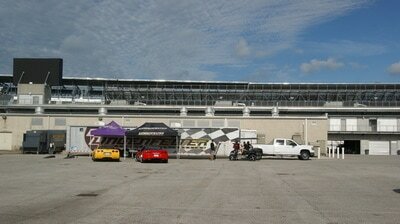 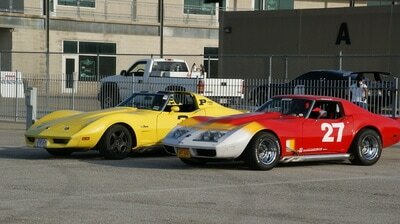 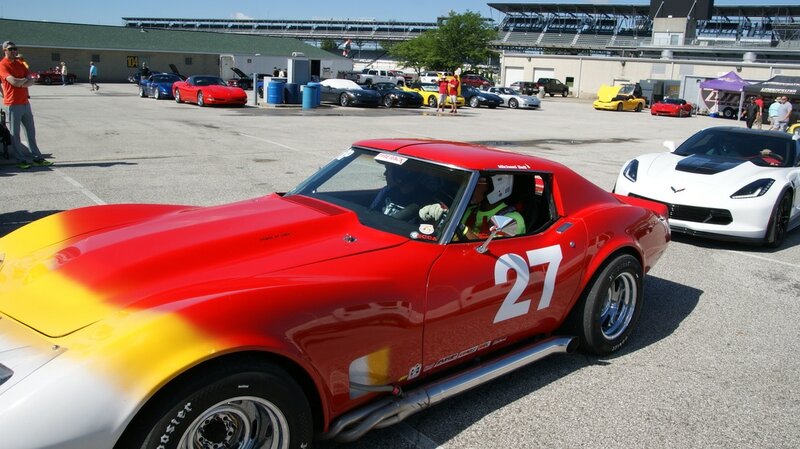 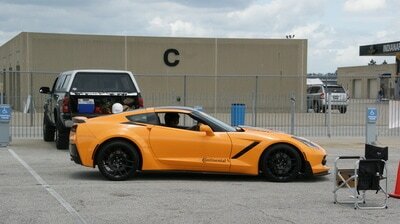 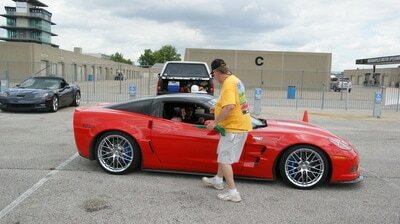 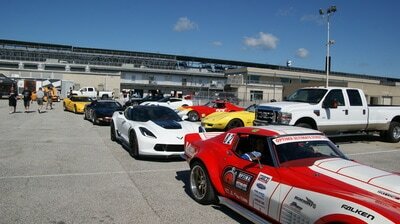 This year there were the two company Corvettes plus Danny Popp and son Nathan in their Corvettes giving rides both days. 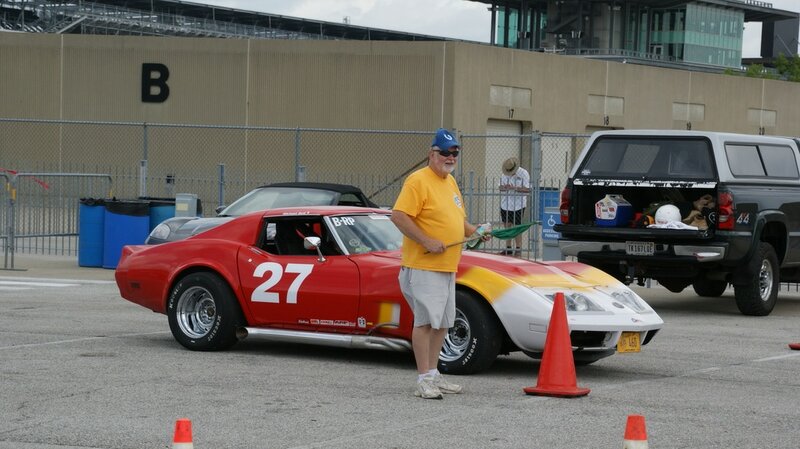 Also giving rides were region members David Godfrey and Mike Bell, along with a couple of cars on Saturday that run in the Optima series that are friends of Danny Popp. 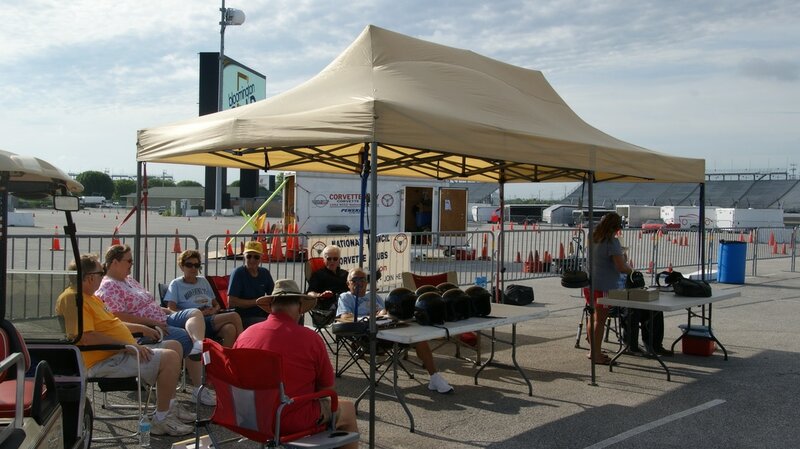 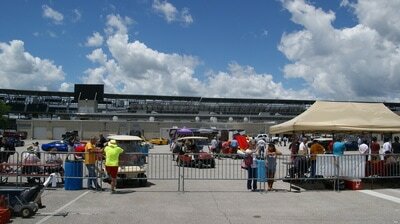 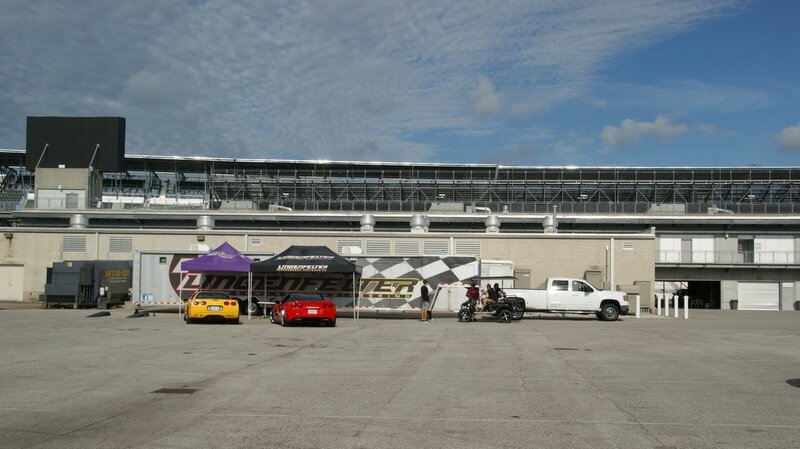 It was a good thing as there were fairly long lines awaiting rides all through Saturday making for successful introduction for many to autocross. 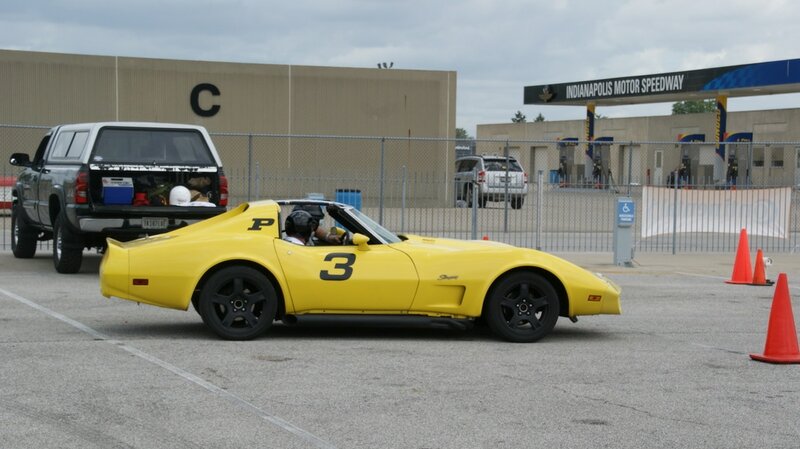 As Thursday's runs progressed David had the best time against the two Lingenfelter drivers but was bested when the Popp father & son duo started running. 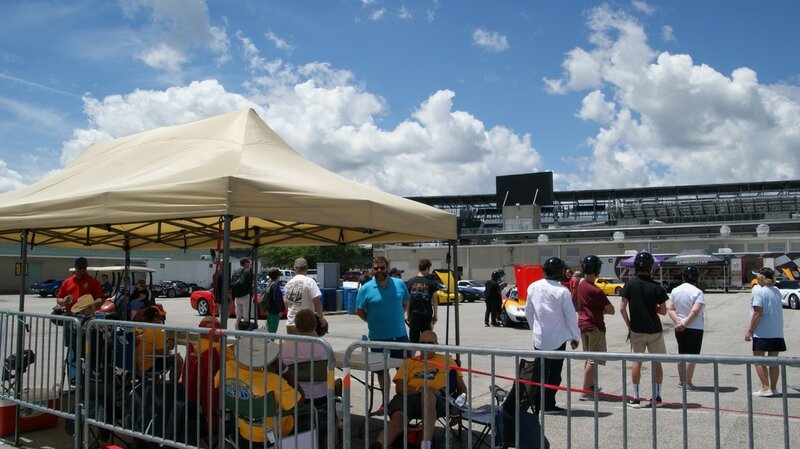 They all had fun making their runs on both days along with a number of other drivers some even making their first autocross runs ever, which is the whole idea of the NCCC overseeing the Gold Autocross.